Is this scenario starting to sound familiar? As the temperatures outside are starting to drop, tempers inside are rising on the thermostat battlefield. According to a recent study of 1,200 office workers; only 36% were satisfied with the interior climate of their workspace. This troubling statistic means that 64% of employees surveyed are not working optimally as workers who are either too cold or too warm are far less productive. Cornell University examined workers whose environment was raised from 68 degrees to 77 degrees; they experienced 44% less errors and 150% more production. Numerous outlets have studied the optimal working temperature and found it to be between 68 and 77 degrees Fahrenheit. How can this optimal productivity be achieved? 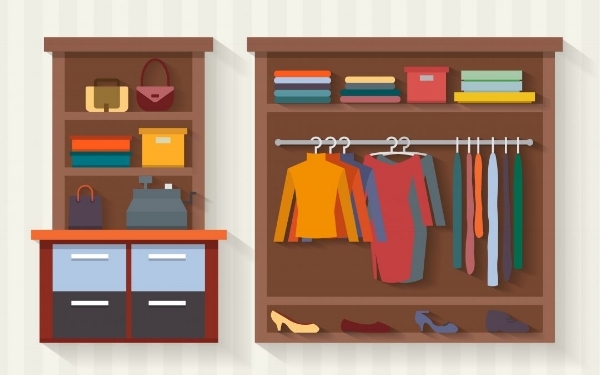 There are numerous obstacles and solutions aside from just setting the thermostat that may be impacting the temperature in your space. Hover over the images below to see solutions. Women’s bodies run colder than men for a couple of reasons. Our hands and feet are on average three degrees colder than men because we are better at conserving body heat; as our bodies are keeping the warmth in our midsections near our organs. Also, men generally have a higher metabolism than women, causing them to run a bit hotter. Solution: Take into account your demographics. If you have a higher proportion of female workers it would be to your benefit to program your thermostat to a higher temperature. If you’re worried about heating costs consider the cost of lost productivity; saving $100 on your heating could be costing you far more. Setting your thermostat can only do so much when your furnace is approaching retirement. We love that you want to keep your big windows; there are tons to benefits to letting in all that sunlight! 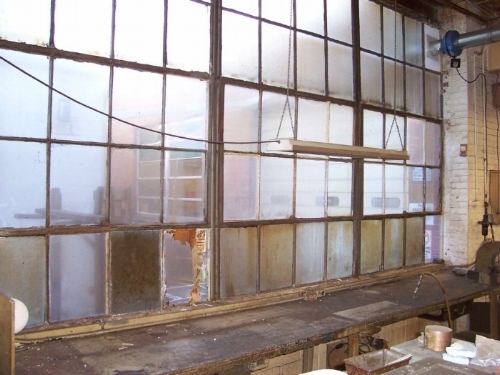 However, if your building still has drafty, single-pane windows you might be in trouble. Solution: Updating your single-pane windows to energy-efficient double-pane windows may not exactly pay for itself, but you'll reap tons of rewards. You’ll lose the drafts and your employees will lose the indoor gloves, scarves and frowns. You’ve upgraded your windows but still having trouble with keeping the temperature regulated? Solution: Move private offices away from the windows. This will allow better circulation throughout the space, better temperature control and more access to daylight views for your team. You’re already programming your thermostat to an optimal degree and have updated HVAC and building solutions yet there are still objectors who may still be wearing sandals and short sleeves in November. Solution: As the seasons change it could be beneficial to send out a friendly reminder of dressing in layers and for the weather/personal preference so that everyone can be comfortable. 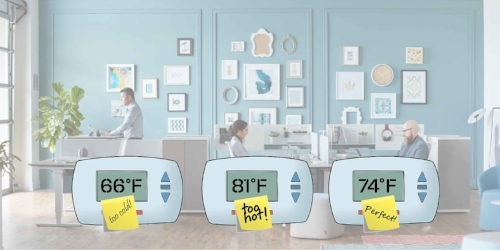 You’ve done everything you can and you’re still battling the thermostat wars? Maybe a Haworth TecCrete solution could be for you. Haworth TecCrete is a raised access floor that can allow for personalized vents for your employees enabling them to maximize comfort and productivity. You can also easily distribute and reconfigure power, voice and data with TecCrete raised floor. Here's a time-lapsed video that shows a reconfigure can be completed in less than an hour, which would take days with traditional products. Don’t let the thermostat continue to be a combat zone. Providing employees with solutions that will help make them more comfortable will yield a happier and more productive workplace.